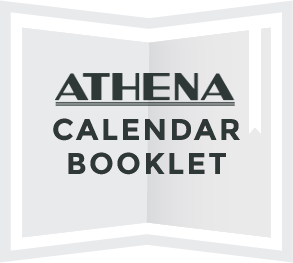 The Athena Cinema is proud to present our 2018-2019 fall semester calendar booklet! Our semesterly calendar is the best way to know about upcoming special events, including our returning Women Pioneer Series and Sustainability Series, as well as our new Music & Film Series. It is also a great resource for learning more about Athens’ 103 year-old theater. Pick up your physical copy at the Athena, or click through below to find out about our upcoming series. Click on any page of the booklet to expand it to full screen for easier reading.